Many of the controversies coming from the Five Tribes of Oklahoma, stem from the fact the descendants of Indian Territory slaves, are the testament to slavery that took place on the soil of what is now Oklahoma. The descendants of those who were enslaved, are a reminder to the world, that the tribes that were removed from the southeast, had joined and participated in America's original sin---Black chattel slavery. From the Freedman Expulsion Vote of 2007, to the Lawsuits Filed in Tribal Court Against the Freedmen Descendants by the tribe-----the Cherokee Nation has struggled to divest itself of its slave legacy by simply keeping them out of visibility to all who hold the nation in sympathy, but as it should not do---it won't go away. It will not go away----the tribes are standing on the wrong moral side of a story that has a simple solution. George Wallace, Lester Maddox and many countless segregationists of the 1940s 50s and 60s were also on the wrong moral side of a story that had a solution. Acknowledge your actions and treat all portions of your nation as citizens, and move forward as a stronger nation, with its integrity intact. What will probably be a surprise is that many descendants of Freedmen of the Five Tribes, want nothing other than citizenship and the right to speak of their past without rebuke or scorn from the nation, in which their ancestor EARNED their citizenship. Yes, slavery earned the citizenship of those once enslaved, and they deserved no expulsion, nor mistreatment, nor disenfranchisement. No more than the treatment of former slaves after freedom in the deep south was deserved, it was not deserved in the Territory, and surely not 140 years later. The actions of the 21st century have placed slave holding tribal leaders on the wrong side of a moral battle. The recent ruling from Tahlequah (click on link to see the ruling) is an ironic one---because this was the case where the tribe sued individuals whom they had never met, never acknowledged and never even informed them of the lawsuit!!! It was imply a legal action organized in tribal court against individuals who had never harmed them, never broken a law---they had merely existed while black in the land of their parent's birth. And, the tribe lost this battle that they started. Today in the 21st century, in one tribe on their tribal website they rebuke the Freedmen and call them simply "non-Indian" (click on link to see the page)---- because they don't have their slave owner's blood. That can be interpreted in many ways----meaning looking too black, not being light enough, or not being white enough. Non Indian? In a tribe that admits people who are 1/1000th Indian blood as being Indian enough----let common sense prevail that too is also non-Indian. 1/1000th? 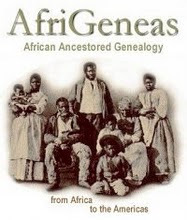 And the argument of blood was never applied to the children of inter-married whites----only the children and descendants enslaved blacks were the problem and they were the ones to whom this has been applied and yet---- citizens by treaty since 1866 they are citizens and can prove their tie by blood to their citizen ancestors! The insanity of it all! In an immoral battle, there is a lesson here however, and the greater lesson is that: one cannot erase the history of one's past. One understands it, talks about it, acknowledges it, CORRECTS it and moves forward. There will be no need spend millions more dollars to revise history, for it won't work. There are documents that exist to contradict every word that has been said to justify the reasons for expulsion. But one cannot erase the history of one's past. There will be no need to hire expensive lobbyists who can't help you in an immoral battle. Not even the Podesta Group could resolve the problem. No need to invent claims of what documents really meant, for they speak for themselves as they reflect what they really said. One cannot erase the history of one's past. Acknowledge it, talk about it, and correct it, and move on. Looking at the recent case that brought out about this week's ruling, it is so interesting, as not even those who were sued in Cherokee Court were told of their suit in tribal court by the tribe. And look closley, the Freedmen are part of the nation---whether this is liked or not. As slaves were part of the Cherokee community, so too are their children. And so, the tribe, sued a portion of its own self---- in its own court---- and lost!! Once again, being on the wrong side of a moral battle, where it was hoped that the courts would put a nail in the coffin, of segregation, fate has stepped in, because one cannot erase the history of one's past. In days gone by from Webbers Falls when the slaves revolted to the tribal confederate alliances of the Civil War fought to keep people enslaved, it was a loss again. One the wrong side of a moral battle. And one cannot erase the history of one's past. Slave mansions in Tahlequah still bear the mark of plantation life that was, and yet none of the slave holding tribes even mention this in their history, perhaps of fear that visitors will think less of them, but, the lesson is clear--- one cannot erase the history of one's past. But the real solution is not that difficult. Have a good cleansing of one's conscience, and honestly look at the history, at the facts and look also at the possibilities. A coming to the table will open so many doors. For what do the descendants of former slaves want? That is simple----to be included in the nation that their parents, grandparents, gr. grandparents only knew as home. They want simply not to be ostracized because of a clever manipulation of words and documents and rolls of segregation. They want what all people want---their legacy as men, as women and as people to be honored. Period. If one has an inability to embrace that concept---once again, they stand on the wrong side of an moral battle. From Tahlequah, to Tishomingo, from Seminole, to Durant to Okmulgee, how ironic that America's first citizens can stand and look at the descendants those stolen from another land and enslaved in their land and can tell them, in a good old fashioned southern manner---you are nothing, you don't have my good blood, and therefore I can legislate you out of existence. It is time to come to the table. The people you hate do not hate you. It is time, Tahlequah, Tishomingo, Seminole, Durant, Okmulgee---if you wish to stand rightfully in the league of nations----you must embrace all components that make up who you are. And yes, those slaves that supported those leaders of the past brought you to this day! And they ARE part of you! You cannot erase the history of your past. Wow. I didn't know any of this was going on. What an ugly situation. A very powerful piece! Thank you. It is hard to believe this sort of thing is going on in the 21st century. It is totally amazing that prejudice is being exhibited by those who have also historically been treated badly by the white man. One would think that having a history of experiencing severe prejudice would induce the tribe to be kind and specifically take every opportunity to be open-minded and non-prejudiced. I am sorry for all involved. Thank-you for having the courage to share this story, Angela. Even if they don't accept our past, it is still our past and I agree....You can't erase it....! !